First, visit our voting page. You will be shown a random image and asked to rate that artwork from 1-5 stars (higher being better). If you wish, you can also type in an optional artwork comment for the artist while rating. After voting, you will be shown another image to vote on. You can vote for as many images as you like. Each vote you make also adds Activity Points to your account as well. 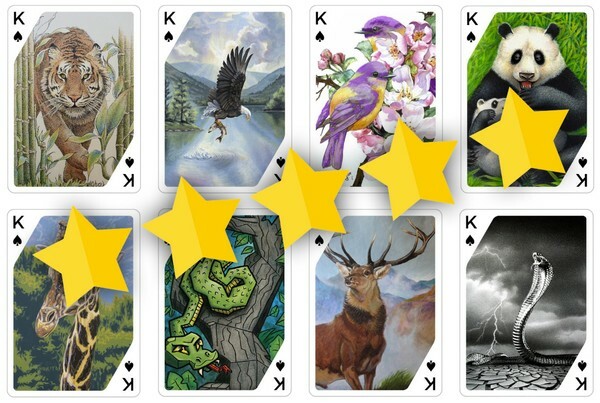 Just a quick reminder that today is the LAST DAY to vote on the ANIMAL artwork for the Playing Card Project. Voting for the Fantasy/Sci-Fi artwork will start on May 15th.